Home › News from Members › Autumn touring and new website! Autumn touring and new website! 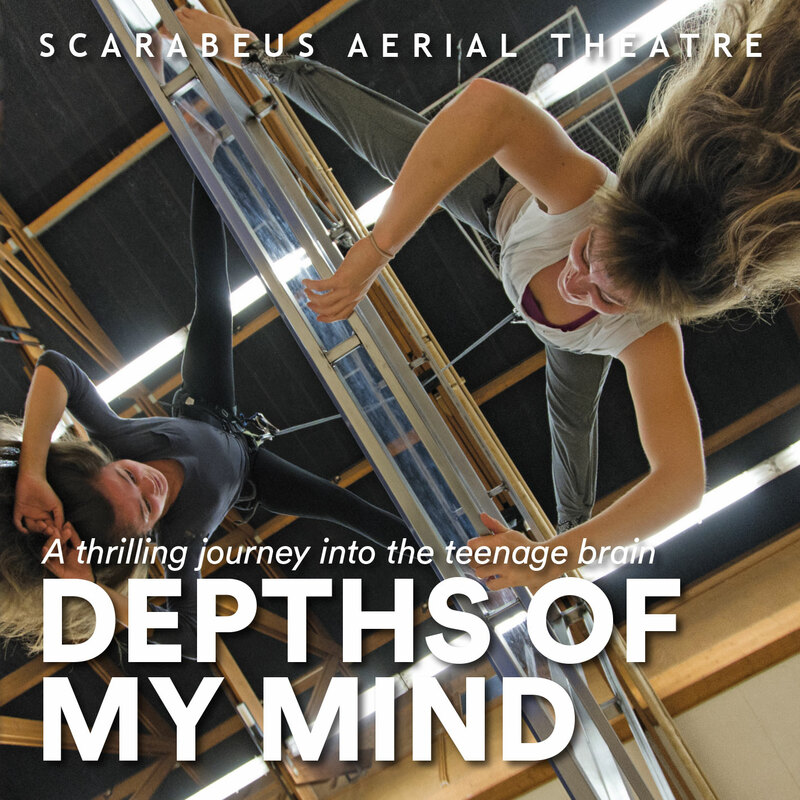 Next week we'll be heading into rehearsals for our Autumn tour, Depths of my Mind. We're very excited to be working on this thrilling new immersive production, supported by Arts Council England and Wellcome Trust and presented in association with Polka Theatre, and we look forward to seeing you at one of our performances! See our Facebook and Twitter pages for rehearsal footage and regular updates, and we hope to see you on the road! Our new website, designed by Michele Durante, will be live tomorrow morning – please head over to http://www.scarabeus.co.uk and let us know what you think! Copyright © 2016 Scarabeus Aerial Theatre, All rights reserved.